Hi everyone it’s Cindy here. While moving all my files from one computer to another I discovered a picture that took me back over a decade ago. A young Angel Nina was hanging out in the yard while helping Charlie do some gardening. Many of the plants towards the front of the planting were just put in the ground during that spring of 2005. 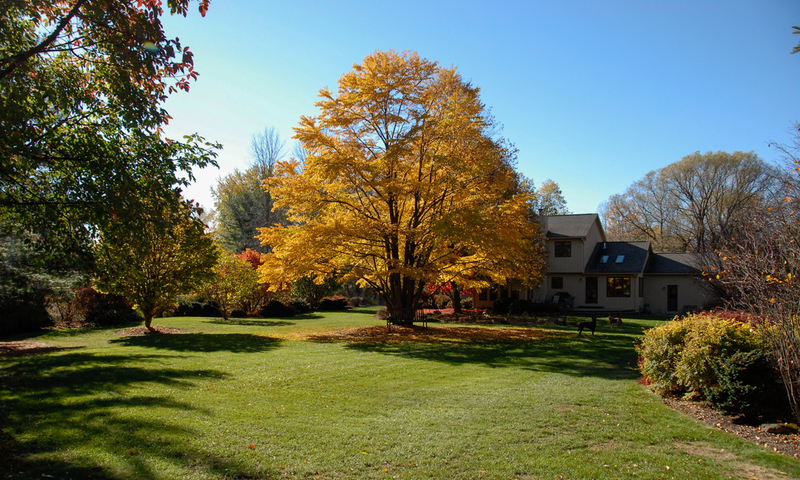 The small tree in the middle with the red leaves is a Japanese Maple. 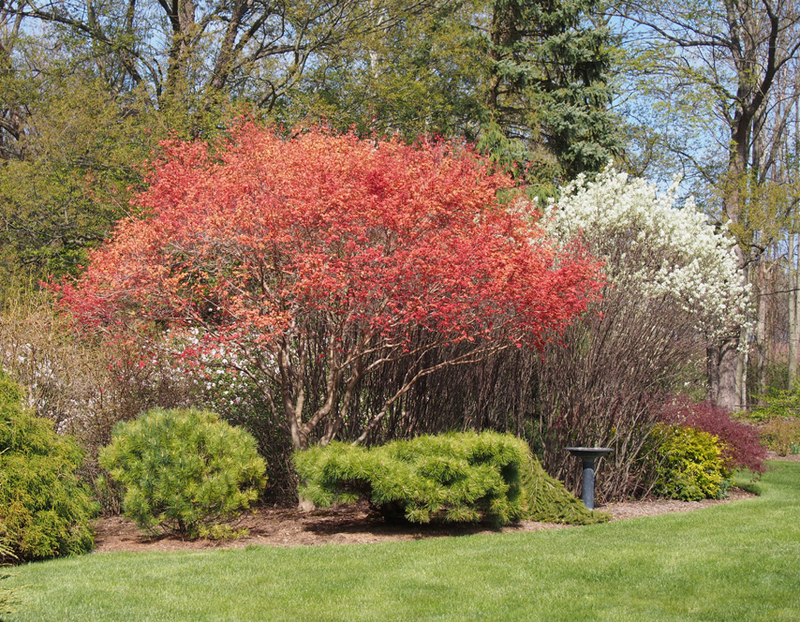 In front of the maple tree to the right and left are a couple of evergreen shrubs. 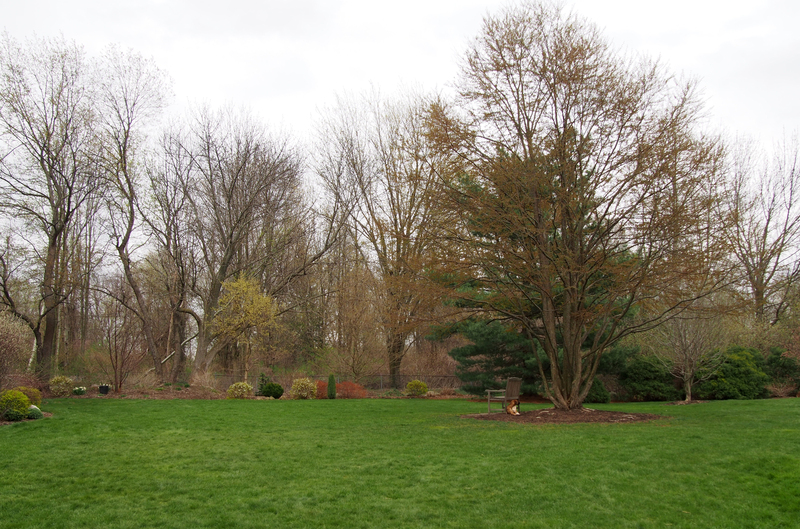 Here is the same Japanese Maple and evergreen shrubs about 11 years later. 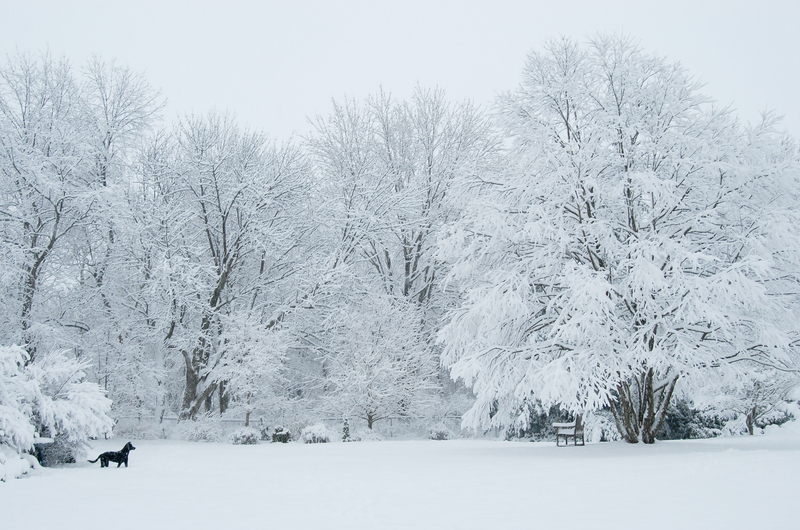 Some of the shrubs that are in the top picture were moved as the tree and other shrubs grew and crowded them out. You never know how a planting will turn out when it first goes in the ground. 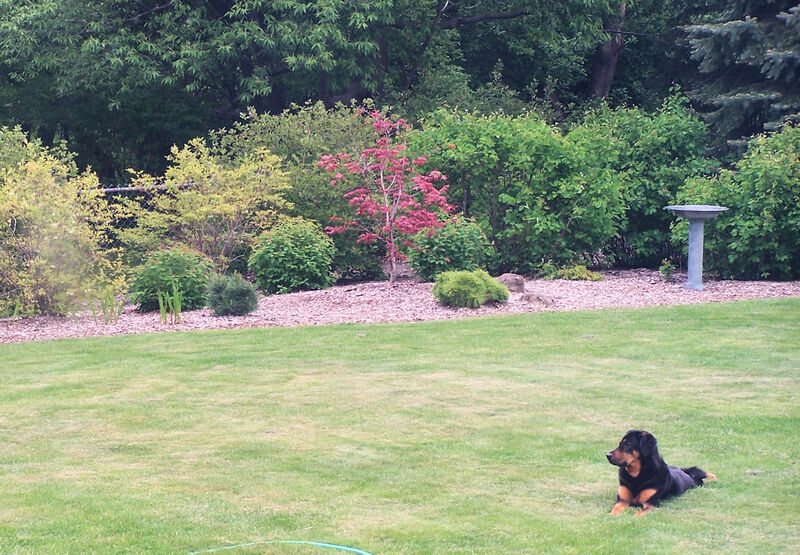 It’s always fun to stumble on a picture of what our yard looked like when a planting was first done to remind us of how it once looked. Gardening definitely takes patience to wait for the final outcome. 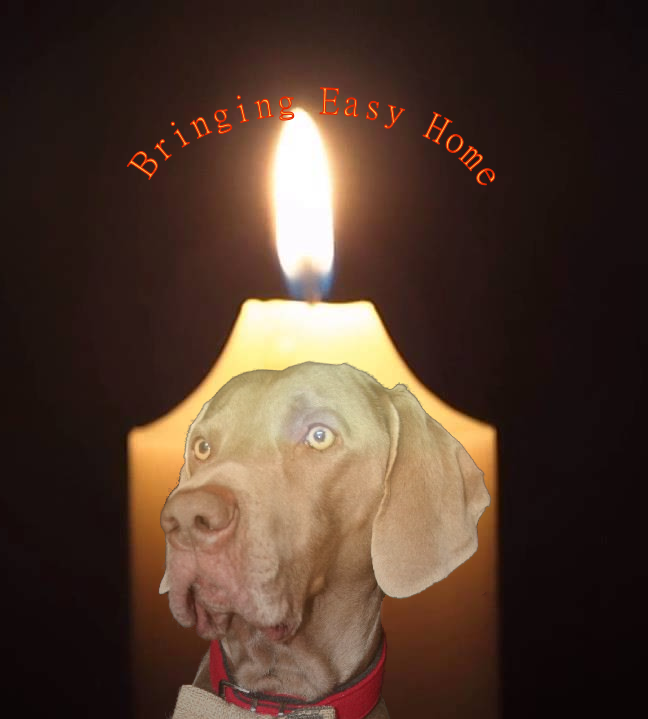 Today Blogville lights a candle to honor our dear friend Angel Easy who has made his final journey home. We also take this time to remember all our friends who have left us this year. Hi everyone. It’s Millie & Walter here. 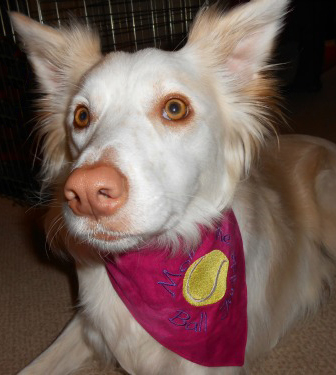 Last week our friend Bailey from Sheltie Times had to cross the Rainbow Bridge. 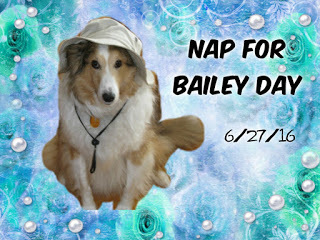 Bailey and his sister were supposed to host a napping event in the Pawlympics. Today we are honoring him by taking naps. We think we have proven ourselves excellent nappers in the past but here are a couple new ones for you. Why yes, I do find this comfortable. so you don’t fall over. We hope our friend and his family will proud of our napping skills. Run free sweet Bailey! Hi everyone! 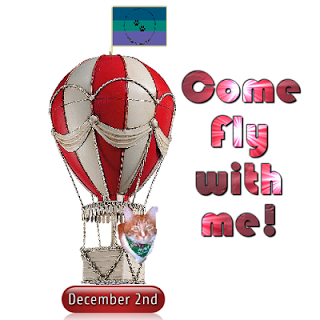 Today I’m going to share two events that are happening right now to help out our Blogville friend Holly. So the first question you might have if you don’t already know her is who is Holly? 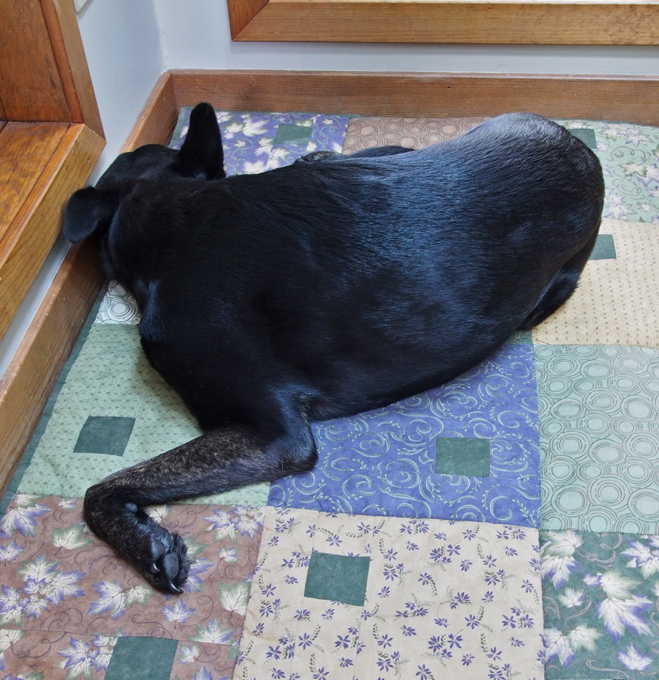 She writes at many blogs but her pet blog is called CreekHiker. Now you might wonder why she needs our help. I will let her tell you in her own words. 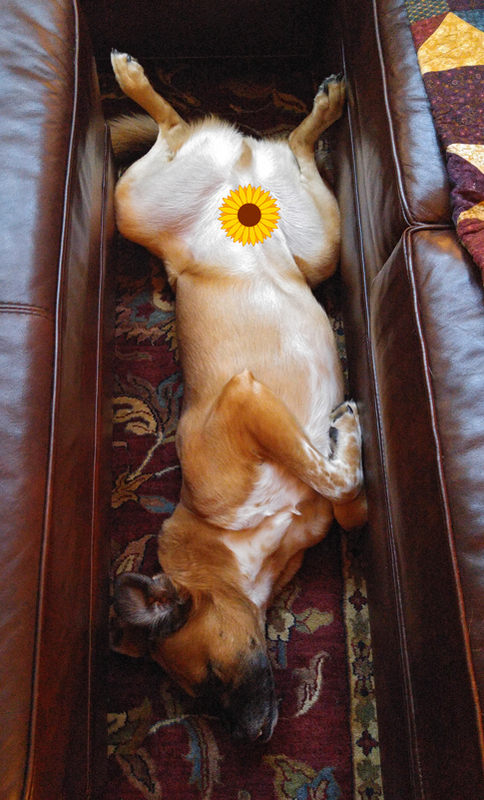 On May 8th, my beloved dog Mabel Lou, started showing symptoms of bloat. I raced her to the vet for emergency surgery. It was unsuccessful and I lost my companion and sweet baby. It’s one thing to spend over a grand and get your baby back…it’s another to still have to pay for her cremation. That same weekend, the local bakery where i sell my jewelry burned to the ground! As a struggling artist, these unforeseen events has thrown my precarious finances into turmoil. As usual Blogville has come together to try to help Holly with those bills. Mollie & Alfie are hosting an auction. There are lots of great items available. It runs from today through next Tuesday (June 17th) at 1pm UK time. I’ve donated a couple of items to the auction that I will share with you now. 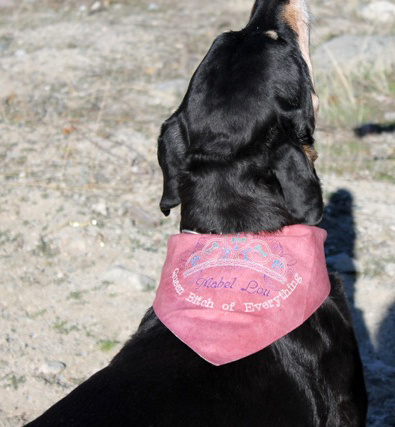 The first item is a custom dog bandana in any size. You can see a few examples of them above but there are a couple I haven’t told you about. The first one I did for our auction host Mollie. 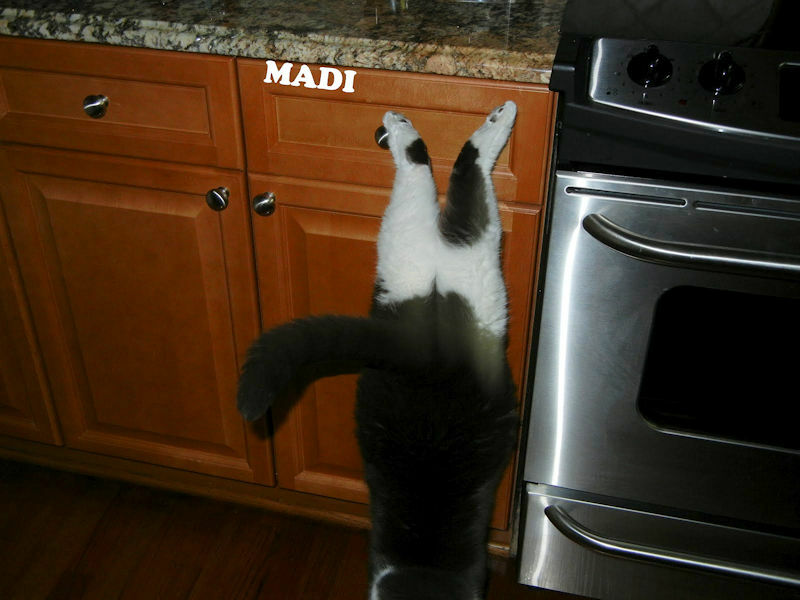 It is a custom design to fit Mollie’s personality. 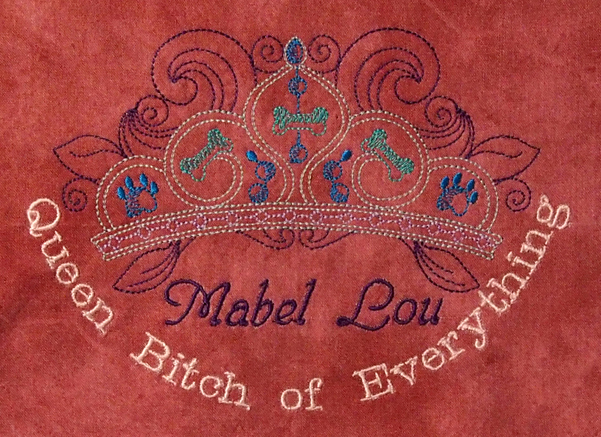 The second special bandana design I want to show you is one I did for the now Angel Mable Lou. Holly’s friends from the Rottrover blog had this bandana custom designed for their special friend as a Christsmas present. You need to read their blog to understand the story behind the design. 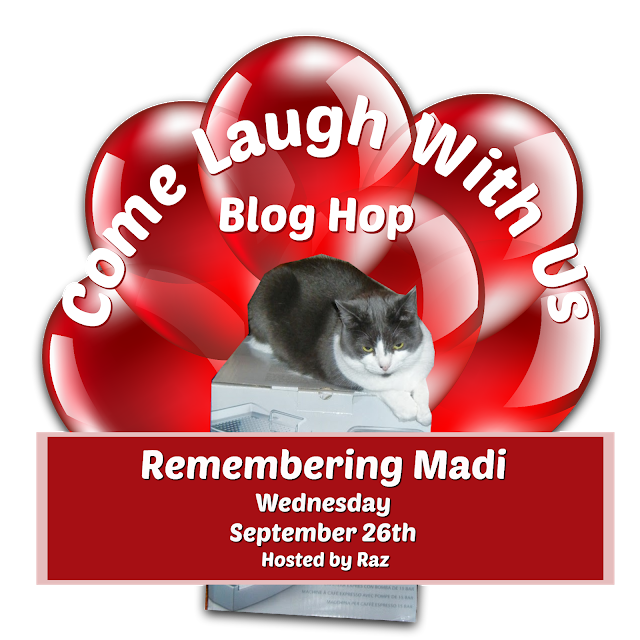 You can also read what Holly had to say about how Mabel Lou got her nickname. These are just a couple of examples of the custom designs I can make for your dog too. 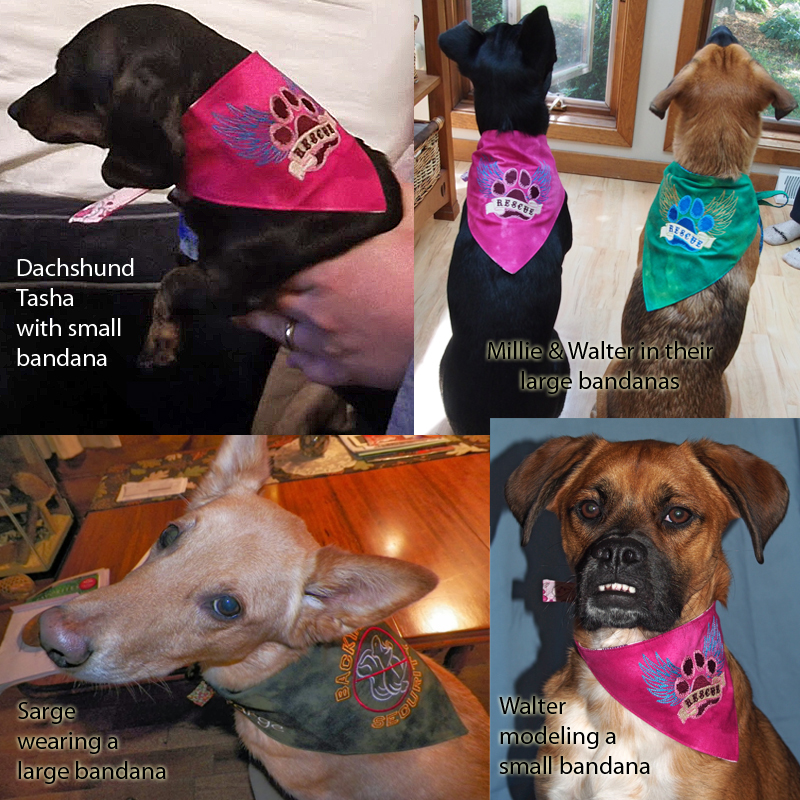 You can check out all of the embroideries that are available by hopping on over to my Cindy’s Thread Craft blog where you will find a wide variety of pet related designs that would go great on these bandannas. If you don’t see what you are thinking of for your pup just ask and I will probably be able to make it happen. The bandana is item #12 in the auction. 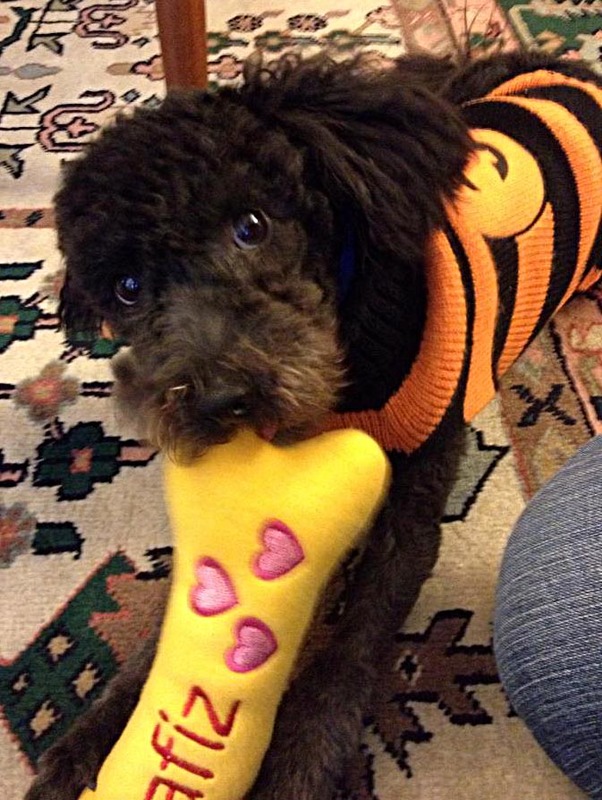 The next item I’m offering for the auction is a pair of custom designed medium sized plush squeaky dog bones. 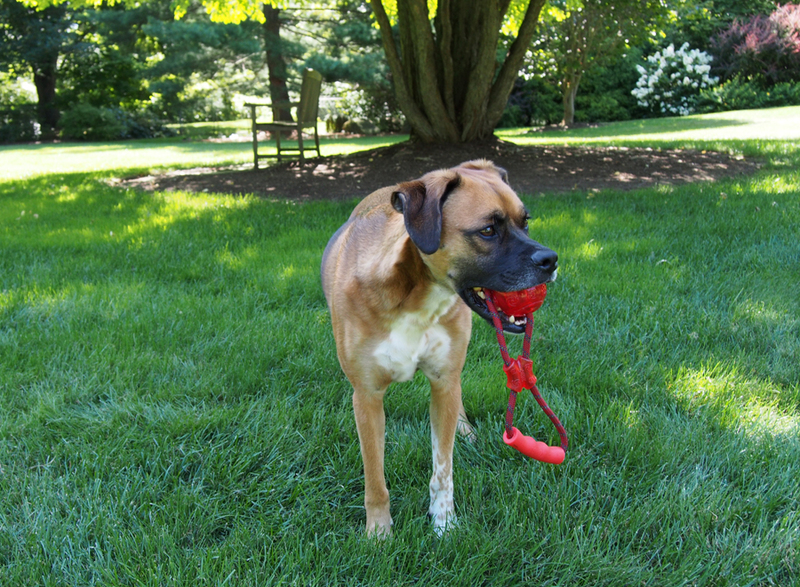 This fun dog toy is about 9″ x 4″. 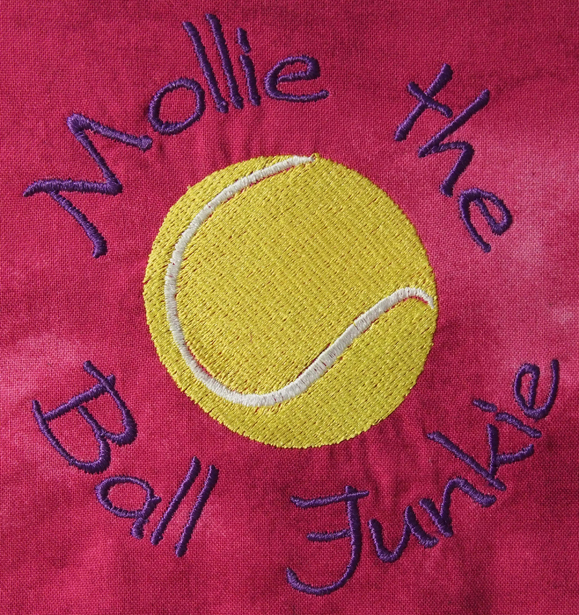 It is made of fleece fabric with machine embroidery embellishment and includes a squeaker inside. 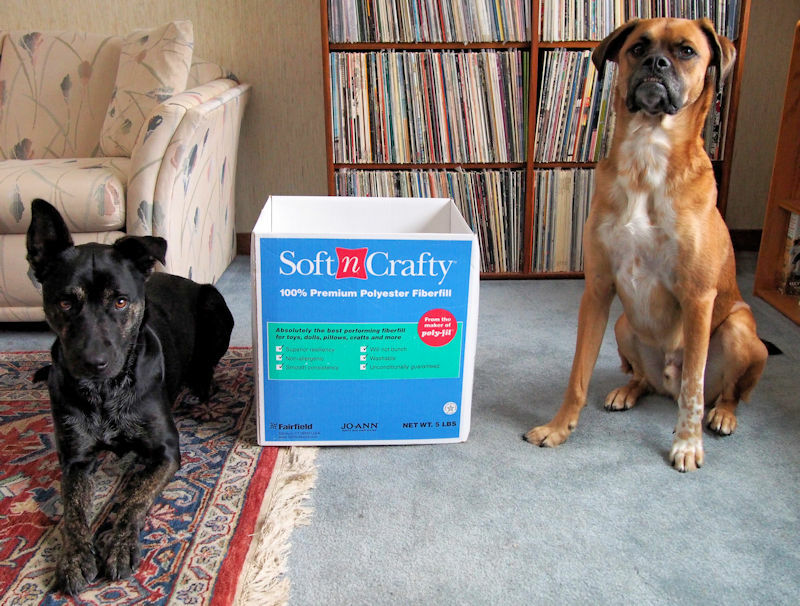 These dog bones can be personalized with your pets name or a short message. 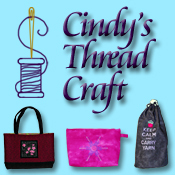 I have fleece available in a wide variety of colors. The dog bones are item #18 in the auction. The other auction happening right now is one Holly is having on Facebook. Now don’t be intimidated that you “don’t do Facebook” because you can still see what she has for auction (I had my husband, who isn’t on Facebook, see if he can access the links). Just click the link above. I’m having an inventory reduction sale of my jewelry stash (since I no longer have a venue to sell it!) 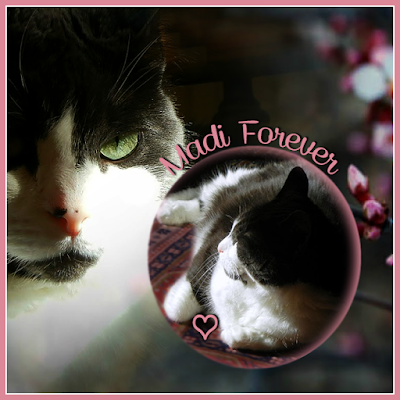 to raise some funds to pay off the vet bill and cremation cost. When you get to the main page of the Jewelry Sale just click on the “…See More” link in the first story. That will open the story up to show you links to the different categories of available items and instructions on how to bid on an item. Click on one of the links and then click on the photo to see pictures of all the available items in that category (just hover over the picture to see an arrow to scroll through the pictures). If you are a Facebook user you can also “Join” the event which will let you receive notices of new items added to the auction. You have to hurry because the jewelry auction is only running through June 13th at 5pm PDT. Now I haven’t asked Holly but I bet if you aren’t a Facebook user and see something in her auction that you really like you could leave a comment on her blog or email her from there (there is a link on her side bar) to place a bid. Just let her know which item you are interested in. Let’s do what Blogville does best and help a friend in need! Thanks for bidding.